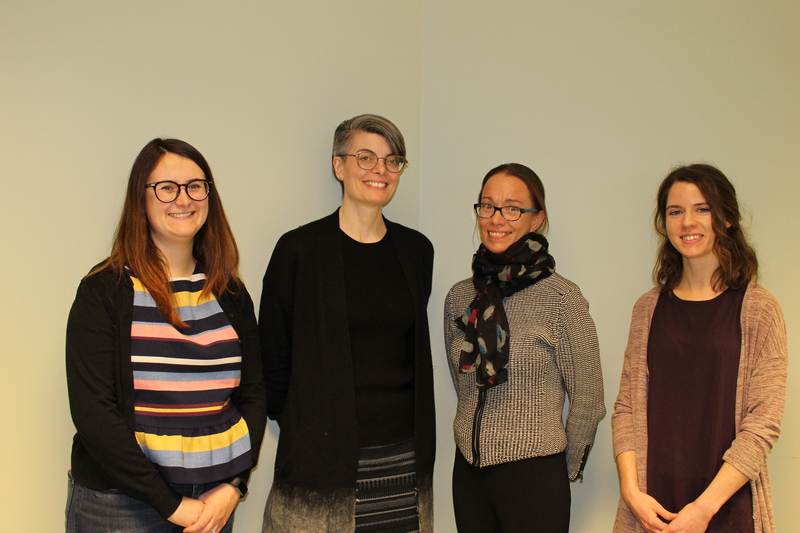 Saskatchewan Health Libraries Association is an affiliated chapter of the Canadian Health Libraries Association / Association des bibliothèques de la santé du Canada (CHLA/ABSC). Our association includes libraries across Saskatchewan that are linked, directly or indirectly, to the medical and health care fields. Among our members are hospital, government, college, and university libraries and staff members. We meet twice a year to view presentations and discuss issues surrounding medical and health care libraries today. To promote the provision of quality library service to the health community in Saskatchewan. To provide professional support to the membership by promoting educational opportunities, communication, and resource sharing. Please see our constitution for more information. 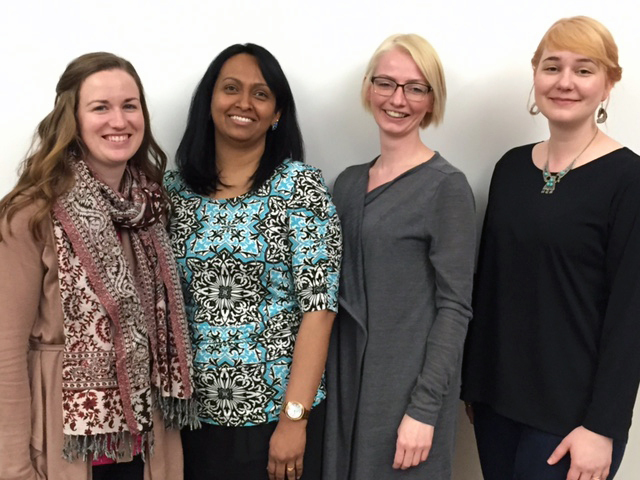 2017-18 Executive, left to right: Caroline Monnin, President-Elect; Catherine Hana, Secretary; Michelle Dalidowicz, President; Gina Brander, Web Manager. 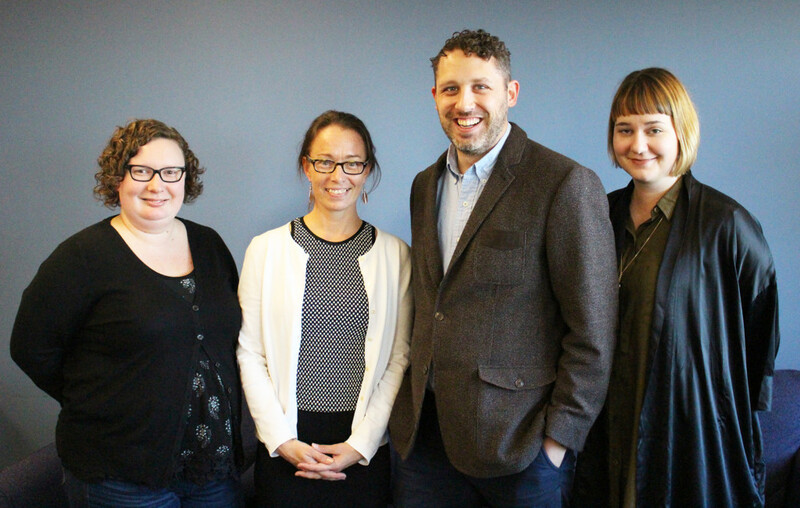 2016-17 Executive, left to right: Erin Langman, Secretary-Treasurer; Michelle Dalidowicz, President-Elect; Lukas Millar, President; Amy Weisgarber, Web Manager.